OutDry vs Gore-Tex Technology: Which One Is Better? Searching and reading about fabric technologies can be quite a learning experience, as you not only know exactly what goes on when a certain jacket’s materials are listed, but you also know what to look for when shopping for jackets. In some of our previous reviews and selections we have mentioned several fabric technologies, some of which are quite famous and most of those who spend lots of times outdoors already know about them. Several weeks ago we did do a comparison review between Gore-Tex® and DryVent™, a fabric developed by The North Face. As you already know by the title, today we will once again take a look at Gore-Tex® and see how it compares to another fabric technology, which is OutDry™. Before we get any further, there is something that needs some clarifying. There are two OutDry results that come up if you were to look for it online. One is OutDry® and the other is OutDry Extreme by Columbia. Everything will be explained below as to why that is and what you should know about each, so let’s get down to it. OutDry® is a patented construction process, which makes gloves, backpacks and footwear fully waterproof and breathable, without leaving any seams or gaps because the fabric layers are heat-bonded together. So it is not a fabric in itself, but a binding process that makes fabrics achieve maximum water-resistance. Without gaps between the impenetrable waterproof membrane and the fabric underneath, water cannot get trapped in-between these layers. Because of this, there is no chance of water leaking through the fabric after long exposures to rain. A very important feature is that breathability is not affected. Why would that be an issue to begin with? It’s all because waterproof fabrics are notorious for overheating and not being that great at wicking moisture away, especially those on the cheaper side. 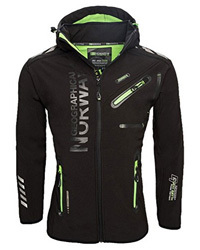 As such, if the price seems to good to be true while a jacket claims to be fully waterproof, it is almost guaranteed that breathability is going to become an issue very quickly. Now, are OutDry® and Columbia in any way related? Well, yes. OutDry and Columbia are partners, and they have worked together in developing different products by using this particular construction process. The results are Columbia’s waterproof gloves and footwear, and also OutDry Extreme, which is a fabric technology used in their waterproof jackets. Another OutDry Extreme version has been developed by these two companies, which is the Eco version. OutDry fabrics are quite interesting as they do not require the use of DWR coatings, which are rarely environmentally friendly and take many years to breakdown, while causing a lot of harm in the process. You will see why we noted the lack of DWR usage when we compare how these two fabric technologies work. Gore-Tex® is a special fabric made of ePTFE, an extremely durable material, which is microporous and has a very low water-adsorption rate. The brand itself patented this material and developed it to what is now known as the Gore-Tex fabric. 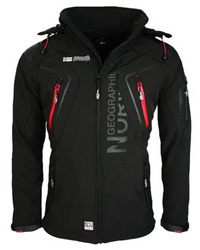 Gore-Tex is not just as any other fabric and this not solely because it is made of ePTFE. There are three important aspects of Gore-Tex, it being a membrane, a laminate and a fabric technology, as we saw in the comparison we mentioned above. Gore-Tex is a membrane because it is made of over 9 billion pores per square inch, which is what helps it remain breathable and capable of wicking moisture away from the body. It is a laminate due to being bonded between the outer and inner linings, creating a single layer where all three elements work as one. And lastly, it is a fabric technology because it fulfills different requirements for different products by utilizing its waterproof and highly breathable qualities. You know what both of these fabrics do and why they are so sought after, so it is finally time to look at how their qualities compare and ultimately, which one is better. Both Gore – Tex and OutDry Extreme are said to be fully waterproof, but do the numbers add up? Fabrics with a water column of 10.000 mm and over are considered to be fully waterproof. But not all waterproof fabrics are made alike and not all withstand water pressure at the same level. OutDry Extreme is said to have a rating of around 20.000 mm, which indeed means that it is fully waterproof. Gore-Tex, on the other hand, starts at 28.000 mm and can even go above that for certain products, which makes it considerably more capable than OutDry Extreme to withstand heavy raining. However, this is where the use of DWR coatings come into play. Read on! OutDry Extreme is a two-layer fabric, bound together by heat. Because it leaves no gaps in between and with the upper membrane being fully waterproof, there is no need for DWR treatments to protect the jacket against the rain. Gore-Tex, however, relies on DWR treatments to minimize water contact that helps further waterproof the fabric. 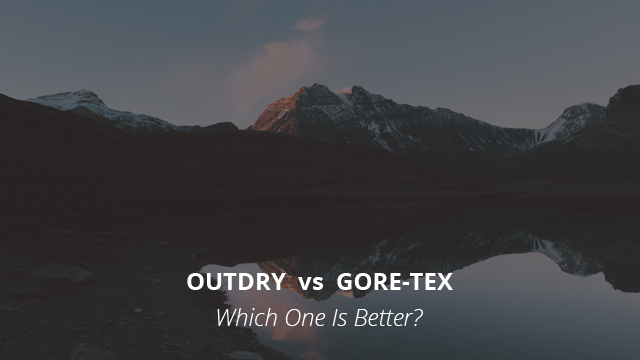 If we are to look solely at water columns, then Gore-Tex has the advantage, but when it comes to comparing resistance to water overtime, then OutDry Extreme has the upper hand. Why is that? DWR coatings tend to degrade overtime, which makes the jacket not only more vulnerable in bad weather, but prone to overheating as well, due to the clogging of pores from the water. 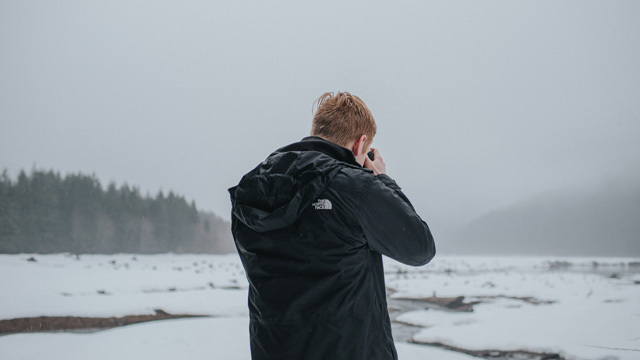 This is why DWR requires regular maintenance in order for the jacket to keep up its ability to protect against the weather. DWR treatments also have an impact on the environment, as well as on the human body because of PFCs. This is why major sportswear brands are doing their best to use PFC-free products in waterproofing their jackets. One of the most important qualities of a sports jacket, breathability must be taken into consideration in order to avoid overheating and excessive sweating. In this regard, OutDry Extreme provides an adequate level of breathability, especially considering that it is a fully waterproof fabric. 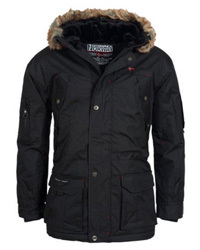 But, compared to Gore-Tex, OutDry Extreme is more prone to overheating and also tends to be a bit heavier. However, keep in mind that jacket design is also important, as Columbia has tried to mitigate the overheating tendency of OutDry Extreme by adding pit zips on some designs, which help keep you cooler when outdoors. It is a matter of expectations and requirements. Both fabrics come with similar qualities, but Gore-Tex clearly has the upper hand in terms of both breathability and weather-resistance. In long-term wear, it also fares quite well as the material is very durable. 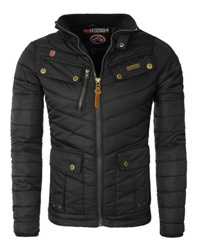 However, it requires regular maintenance in order to upkeep the breathability and quality of performance. This is not an issue with OutDry Extreme, as it comes as a fully waterproof fabric and will remain so for as long you’ll use it. It is much more environmentally friendly, too, so it would be the better option in that regard. Price-wise, neither falls under the “affordable” category as they range upwards of $200, with Gore-Tex being the more expensive of the two. I have a pair of Columbia trainers which have OutDry waterproofing. Why is it that last night whilst out cycling in the rain, both feet got wet? Because your socks wicked the water into your shoe from all the splashing as you were cycling. Or it can be because not too good breathability and she mistook sweat for water.